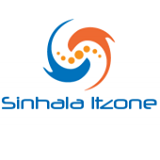 Sinhala ItZone Windows Trickz MyPublicWiFi | ඔයාගේ Computer එක ලේසියෙන්ම WiFi Hotspot එකක් කරමු. MyPublicWiFi | ඔයාගේ Computer එක ලේසියෙන්ම WiFi Hotspot එකක් කරමු. Computer එකට මොකටද Wifi Hotspot එකක් කියලා ඔයාලා හිතනවා ඇති එත් මේ පොඩි Software එක ගොඩක් වටින්නේ Phone එකට මොනවහරි File එකක් ඉක්මනින් Share කරගන්න ඔනි වෙලාවට සහ computer එකෙ Internet Connection එක phone එකට ගන්න ඔනි වෙලාවට තමයි.මොන Software එක දාලා තිබුනත් වැඩක් නෑ Wifi kard ,Adapter එකක් අනිවා ඔයාගේ Computer එකේ තියෙන්න ඔනි. 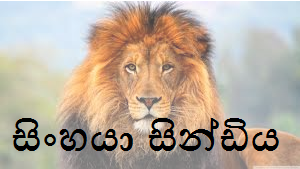 Software එක ගැන නම් වැඩිපුර කියන්න දෙයක් නෑ.Install කරලා කැමති නමකුයි Paasword එකකුයි දිලා ඔයාගේ Internet Connection එක තොරලා Start hotspot Button එක Click කරන්න තමයි තියෙන්නේ. ඒ වගේම Managment Tab එක Click කරාම ඔයාට පුලුවන් WiFi Network එක හරහා Bittorrent,IDM වගේ Software බාවිතා කිරිම නවත්තන්න. Show-URL Logging වලින් Wifi Network එක හරහා කට්ටිය Surf කරපු වෙබ් අඩවි බලාගන්නත් පුලුවන්.